We are licensed for 10 dogs, housed between two kennel blocks; this small number enables us to provide a high level of personal care to each and every one of our canine guests. 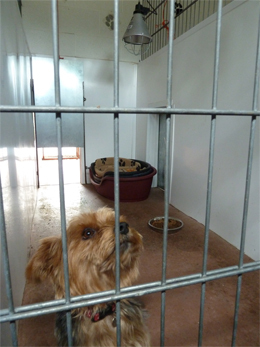 Each kennel has its own run and is provided with either, on or off the floor beds and blankets (according to your preference). Our airy and well lit kennels allow our guests a good view of the garden areas as well as the opportunity to observe the day to day activities of the kennels. During the winter months and inclement weather, our kennels are warmed by our 240 heat lamps ensuring a warm, safe and dry environment. Family dogs, used to living together may share a kennel if preferred.